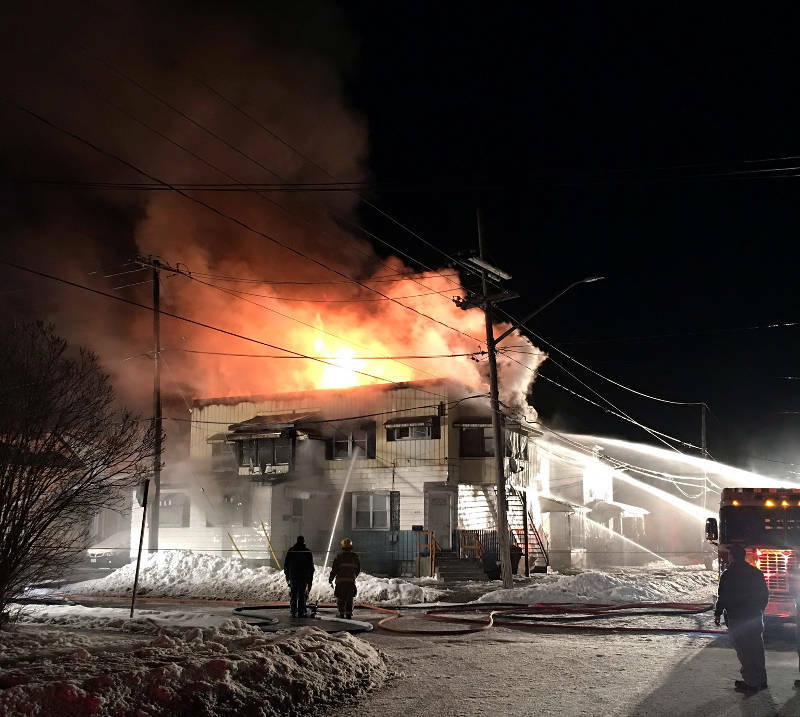 CORNWALL – Several people have lost their home after flames ripped through a multi-unit apartment building early Saturday morning. 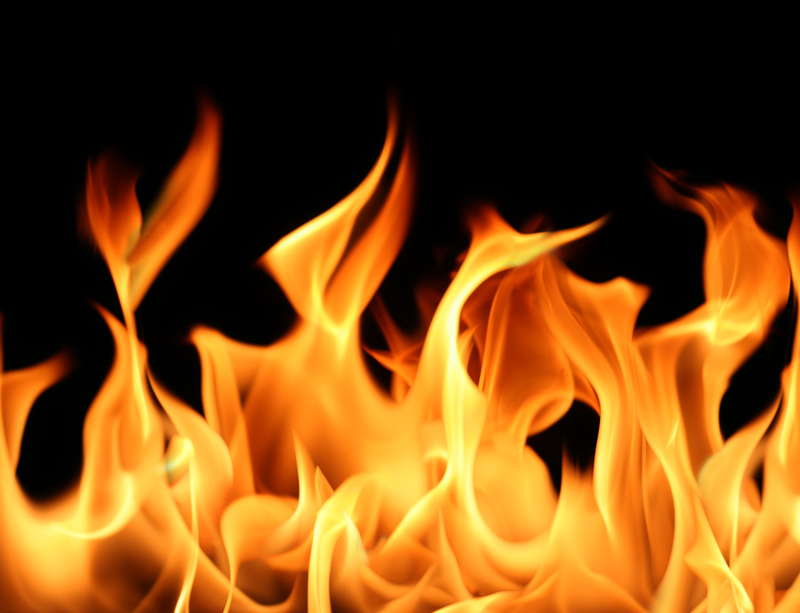 The fire started in the building on the southeast corner of Gulf Street and Fourth Street West around 2:20 a.m.
Eleven firefighters along with another 15 firefighters were called in to battle the fire for several hours. The building has at least three units, though it’s not known many people were at home at the time of the fire. 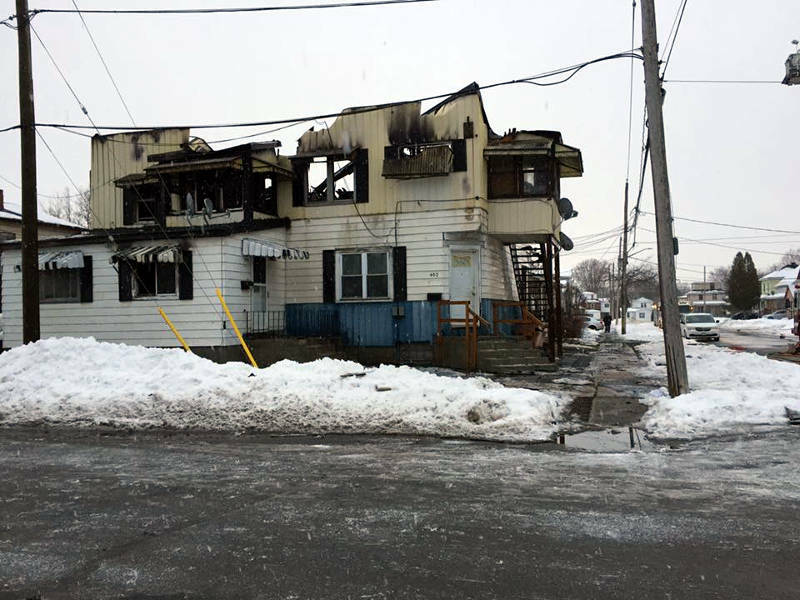 Acting Platoon Chief John Irwin told Cornwall Newswatch a neighbouring building on Gulf Street was also damaged by the fire. Irwin said several people have been displaced and are staying with relatives or are being housed at Nav Center. According to social media reports, a father and his five children were able to escape the blaze. Electricity was cut to the neighbourhood as firefighters battled the flames through the overnight hours. Firefighters were kept busy as they had just come from another devastating fire at 331 Clark Avenue around 10:30 p.m. — just a few blocks away from Gulf and Fourth. Acting Platoon Chief Irwin said an apartment in a six-plex was heavily damaged and people have been displaced in that fire as well. They are either staying with relatives or are at Nav Center, he said. A fire prevention office investigator is on the scene of the Gulf and Fourth fire today to try and determine the cause. There are no reported injuries in either fire.